A good bet for boating is located on the northwest side of downtown Boulder Junction. 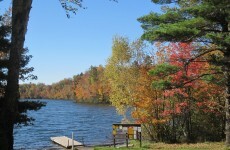 This 516-acre lake has lots of small bays and inlets to explore. There’s a boat landing on the north side of the lake near the airport and a second landing on the west side. 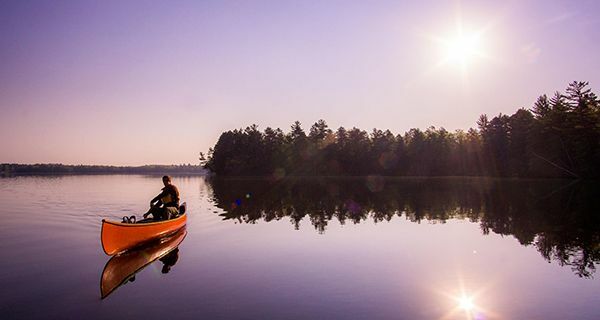 This 746-acre lake is worth visiting for the drive there—it’s located just off County Hwy K, a beautiful Wisconsin Rustic Road. The lake’s water is incredibly clear, and the lake is surrounded by forest. You’ll find lake access just off of County Hwy K on the lake’s south side. Another lake with access off County Hwy K is Lost Canoe Lake, a 279-acre gem southeast of Boulder Junction. You’ll see a lot of wildlife on this beautiful lake. Keep your eyes open for that lost canoe! Boulder Junction has you covered. 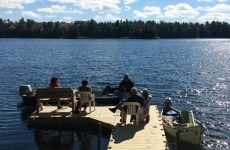 Boulder Marine Center, Schauss Woodworking or Northwoods Pontoon Rentals, can set you up with a boat that’s perfect for our lakes. 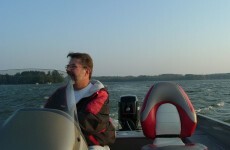 They have daily and weekly rentals of fishing boats, pontoon boats, ski boats and personal watercraft.